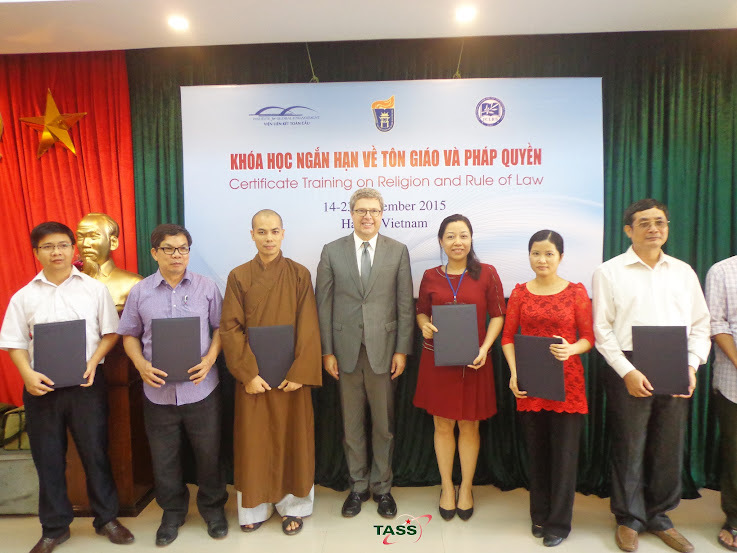 From 14 to 23rd of September 2015, TASS together with USSH - VNU, IGE, Brigham Young University had successfully organized a training course on Religion and Rule of Law in Hanoi. 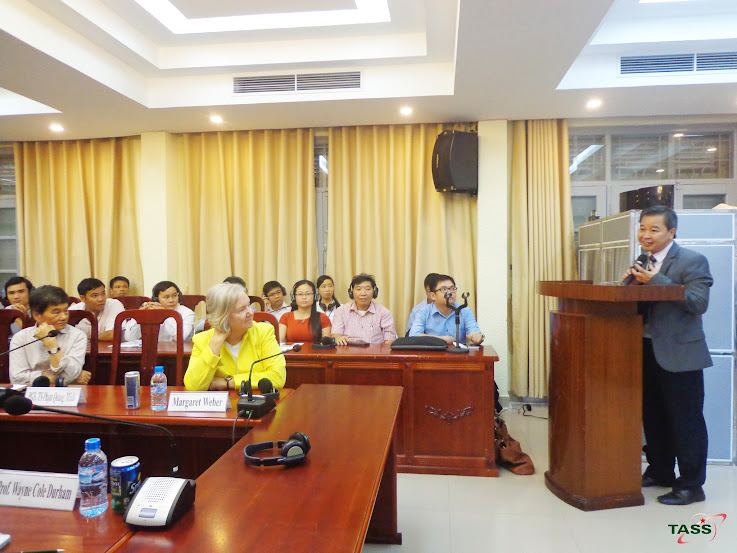 From 14 to 23rd of September 2015, TASS together with USSH – VNU, IGE, Brigham Young University had successfully organized a training course on Religion and Rule of Law in Hanoi. 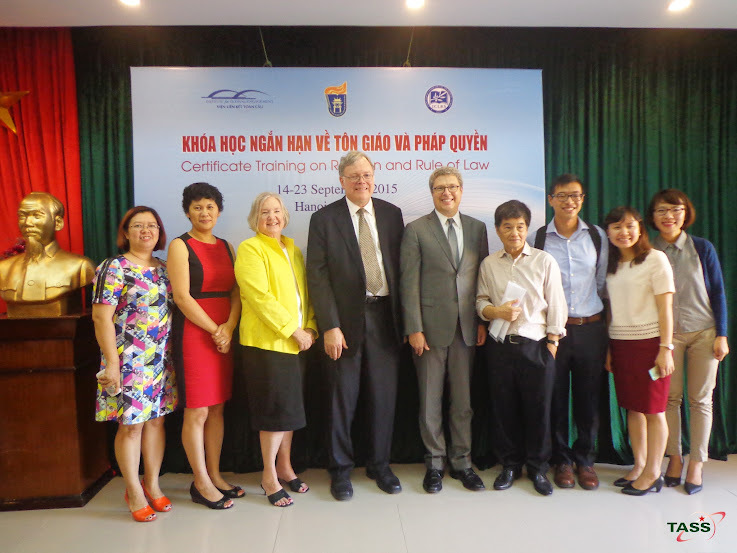 The lectures in course given by famous scholars in Religion and Rule of law in Vietnam and the world, including Prof. Đỗ Quang Hưng – USSH –VNU; Prof. Dr. Nguyễn Thanh Xuân – Ex Vice President of Vietnam National Board of Religion; Jugde J. Clifford Wallace – USA Court; Dr. Chris Seiple – President of IGE; Prof. Wayne Cole Durham – Director of ICLRS and Prof. Brett Scharffs – Vice Director of ICLRS. They are all elite scholars from USA, France, Italy, Hungary, Korea, Singapore, Myanmar, Laos, Vietnam… The main object of the course is to provide the attendance with knowledge, help them to exchange, compare and share experiences both in theories and practices. Organising board of TASS take photos with famous scholars and lectures in religion and rule of law in Vietnam and the world. The course took place in the conference room on the second floor Building H within USSH facility. The students include government officials, researchers who are responsible for studying, establishing religion policies; legal researchers of Vietnam. They have good knowledge and experiences in term of religion, legal activities, politics, society management, psychology, culture from various regions and government offices. After finishing the course, all 67 students were given certificate. 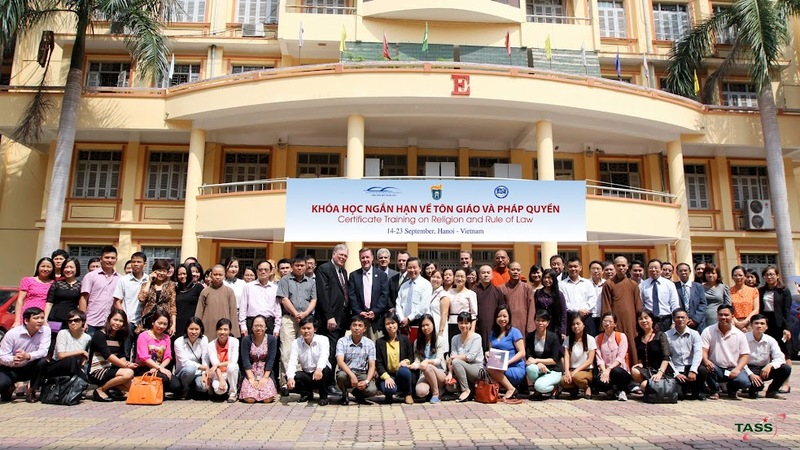 The training course on Religion and Rule of law has been held for 4 consecutive years in Vientam (2012 in Hanoi, 2013 in Hochiminh city, 2014 in Danang). The course is planned to be held in Vietnam at local areas.